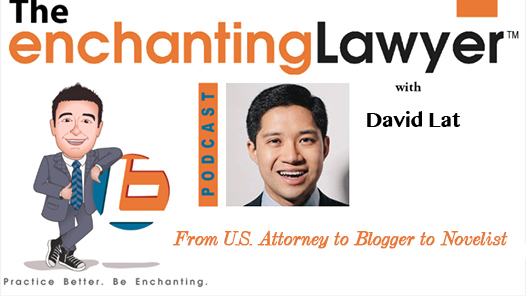 David Lat is founder and managing editor of Above the Law, the most influential publication in the legal world today. His writings appeared in the New York Times, the Washington Post, Wall Street Journal and many other prominent publications. Prior to his media career, he worked as a federal prosecutor in New Jerseyand did a clerkship with a prominent Judge of the Ninth Circuit; He worked for Wachtell Lipton, arguably the nation’s top BigLaw firm. He is a Graduate of Harvard College and Yale Law School. Recently, he published his first Novel, “Supreme Ambitions” that has garnered many positive reviews across the board. David Lat started off as a Federal prosecutor. 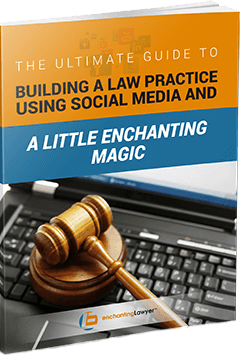 His interest in all things legal meant that he started blogging about issues within the legal profession under a pseudonym, but when it looked like he was about to be exposed, he revealed himself as the blogger. Since then, he hasn’t looked back. He founded the most influential legal website in the world today – Above the Law and has recently published his first novel – ‘Supreme Ambitions’. 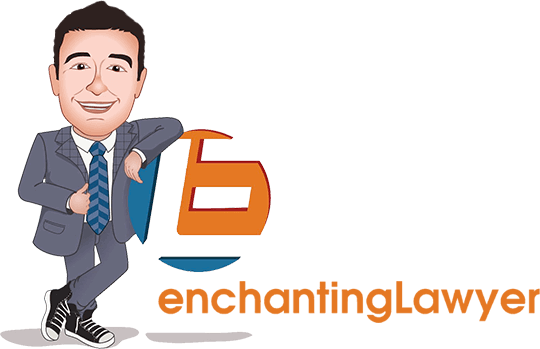 Jacob: Hello everybody, this is Jacob Sapochnick with the Enchanting Lawyer podcast. This is a show where we interview the most inspiring entrepreneurs, legal professionals, and business people around the world who share their ideas with us and inspire us to do better. 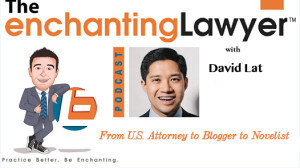 Today I have a great attorney and an innovator in the legal field, David Lat. The founder and Managing Editor of Above the Law which is considered probably the most influential publication in the legal world today. His writings appeared in the New York Times, The Washington Post, Wall Street Journal, and many, many other prominent publications. Prior to his media career, David worked as a federal prosecutor in New Jersey and did a clerkship with a prominent judge for the Ninth Circuit. He also worked at Wachtell Lipton, argued with the nation’s top big law firm, and is a graduate of Harvard College and Yale Law School. Recently he published his first novel Supreme Ambitions that has garnered many, many positive reviews and I’m very honored and excited to have David on the show. David, how are you? David: Very well. Thanks for having me, Jacob. Jacob: Of course, of course. Now you’re in New York and hopefully the weather is not too bad today in Friday. David: Yeah, it’s not terrible. It’s warmed up since the last few days so it’s good. 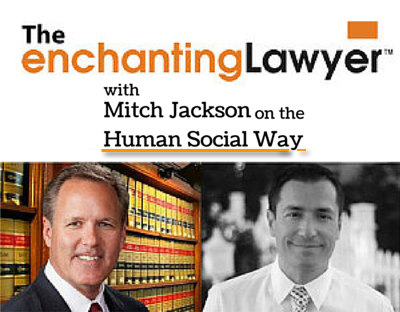 We have many, many, many attorneys who listen to the show, but not just attorneys. For those people that are not familiar with your work, in a nutshell what I’m curious about is how did you get to … Tell us about the story of you from attorney, to a blogger, and all that in a nutshell. We’ll get to it during the show but I want to hear it from you. David: I graduated law school. I clerked for a judge. I worked at a law firm. And then I worked as a federal prosecutor for then US attorney, now New Jersey Governor Chris Christie, possible Presidential candidate. 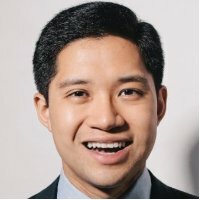 While I was working as a prosecutor, just as a hobby, I started a blog called Underneath Their Robes. It was an irreverent cheeky blog about federal judges that I did under a pseudonym because, of course, as a lawyer appearing before these judges, it wasn’t really something I could do under my own name. That blogged develop a following and eventually I revealed myself as the formerly pseudonymous author of it. Then shortly thereafter, I went into blogging and writing full-time. 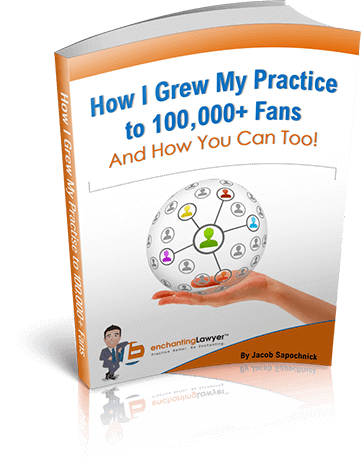 I’ve now been writing and blogging for longer than I practiced law. I think I’ve passed the halfway mark on that. To read the complete transcription from this podcast, click here.